The Mira Mesa High School Pledge Drive has raised over $15,000 in three years. Our annual pledge drive kicks off during The Taste of Mira Mesa event. Click below to see past pledge drives and pledges. Order your engraved brick today to be placed in the walkway as you enter the newly redesigned Mira Mesa Football Stadium! Price is $100 for current students and staff, $125 for alumni and/or community members. 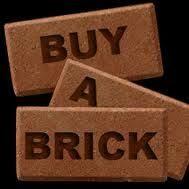 Help us ‘pave the way’ for future Marauders. Be part of the first group to have personalized pavers installed in time for our grand opening! Questions? Join the Mira Mesa High School Foundation today or renew your membership. 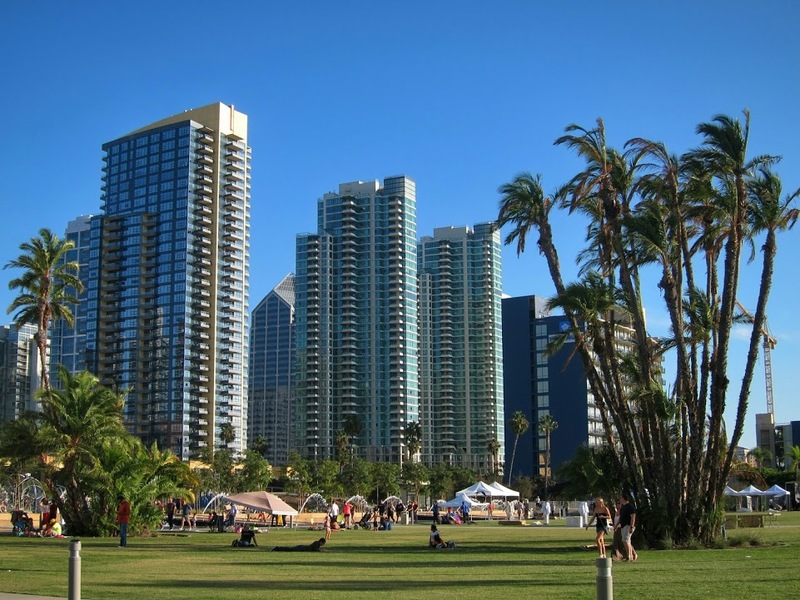 The purpose of the Mira Mesa High School Foundation is to raise funds for the benefit of students by improving school site facilities, academic, athletic and other on campus programs. 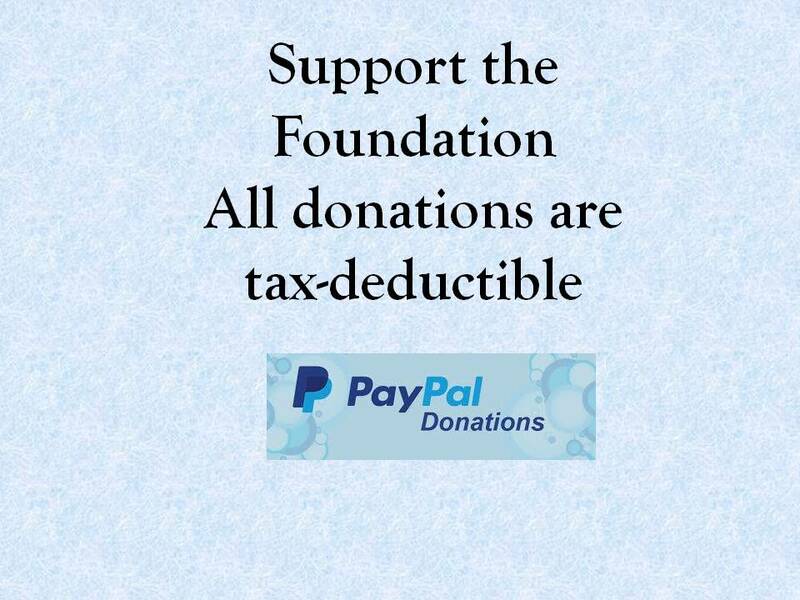 If you would like to make a donation to the Foundation, please send your contribution with the form below to: Administration Office (Attn Foundation), Mira Mesa High School, 10510 Marauder Way, San Diego, California 92126. 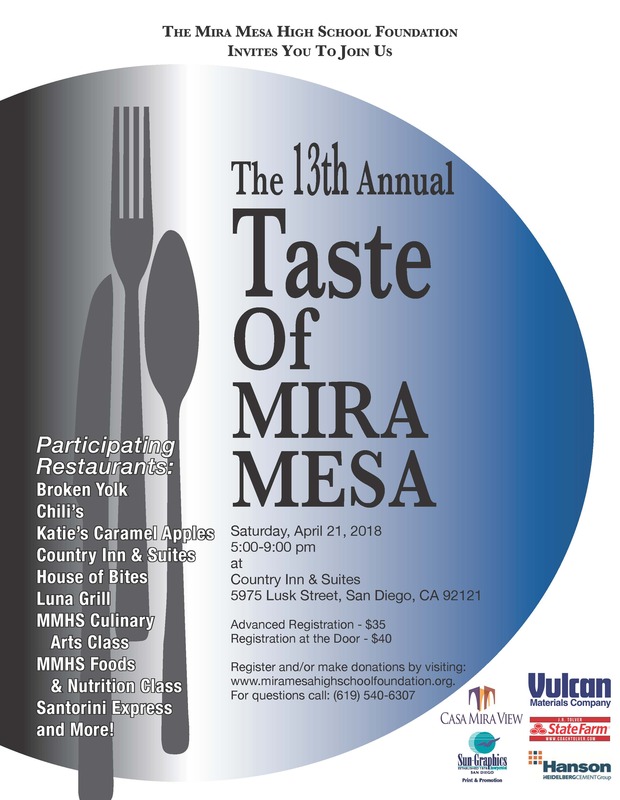 The Taste of Mira Mesa event will be held at the Country Inn & Suites in Mira Mesa on April 21, 2018 from 5:00-9:00PM. Click register here for more details. You may purchase tickets tonight for $40. Many companies match employee donations, and in some cases donate a specific amount to their employee’s school of choice. Parents and friends of Mira Mesa need to check with their Human Resources Department to find out how to access these funds.